You are currently browsing the tag archive for the ‘salted ginger’ tag. 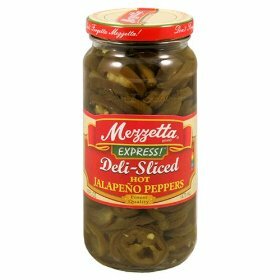 While shopping for ingredients for our traditional Super Bowl Nachos, it occurred to me that traditional jars of pickled jalapeños (like the ubiquitous versions of Mezetta) can cost as much as $4.00, depending on where they’re purchased. MEZETTA, WHY YOU NO CHEAPER? Sauntering over to the fresh produce section, I find that fresh jalapeños are a mere DOLLAR A POUND! Plus, they’re more delicious! So, instead of spending almost $4.00 on a jar of old peppers that’s probably been sitting on the shelf for a long time, I picked up $0.50 worth of fresh jalapeños (1/2 lb. — more than enough for a couple of heaping piles of nachoy goodness) and took them home to play. Warning: cutting jalapeños (or any hot pepper) should be done with care! Those bad boys will burn anything you stick your fingers in after you’ve cut into them (wink wink! What? No, I’m talking about your nose!). You could wear gloves, or you could just be sure to wash the dickens out of your hands, especially under your fingernails, when you’re done preparing. 2. 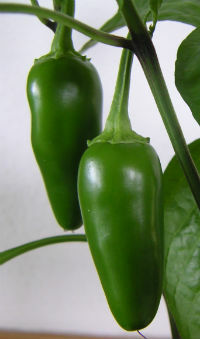 Next, put the peppers into a glass container. 3. Next, measure enough white vinegar to cover the peppers and pour the vinegar into a small saucepan. Add 1 tsp salt per cup of vinegar. At this point, you can mix it up a little and go crazy! I tossed in some salted ginger and some allspice. Bring this mixture to a boil until the salt dissolves. 4. Pour the vinegar mixture, still hot, over the jalapeños. 5. Cover, chill for at least an hour, and serve. Of course, depending on what you add to the mix, the longer these puppies sit, the more flavor they develop. I let mine sit overnight, and YUM! These should keep in the fridge for a couple of weeks. Did I mention this cost me FIFTY CENTS? Yeah. 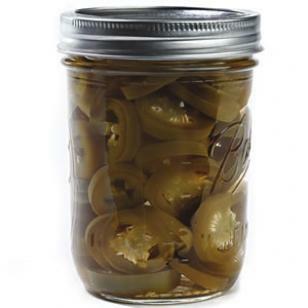 Make some quick-pickled jalapeños today!